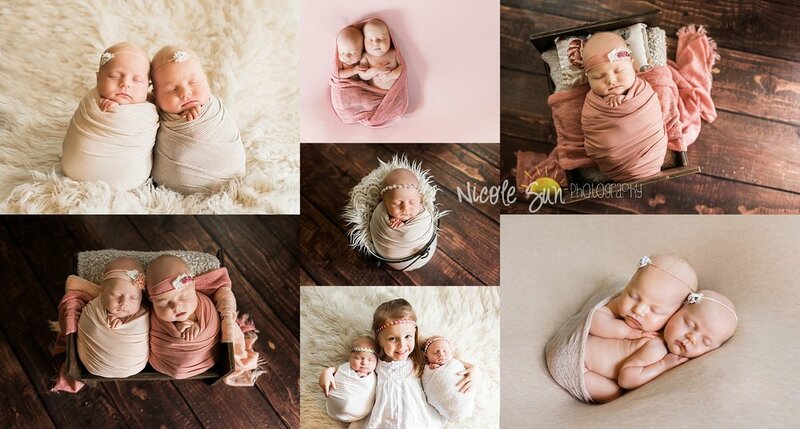 NicoleSun Photography offers studio quality newborn images taken in the comfort of your home. I bring my custom, boutique props and accessories to personalize your session. 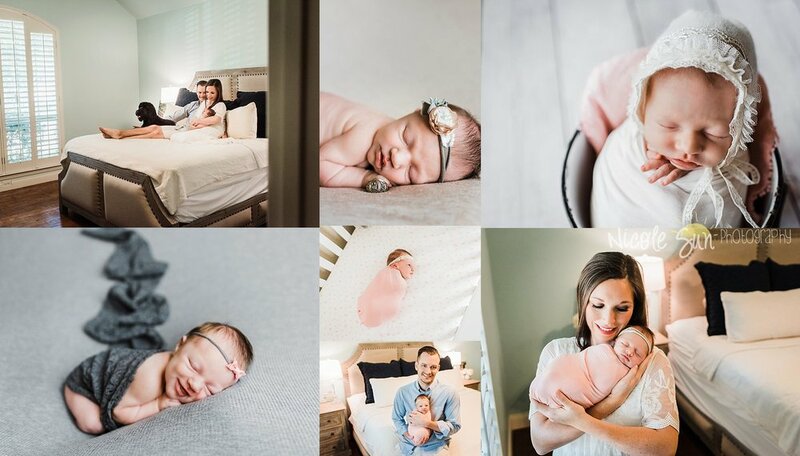 My assistant and I come with the experience of nearly 100 newborn sessions to ensure beautiful images and the safety and comfort of your little one(s). 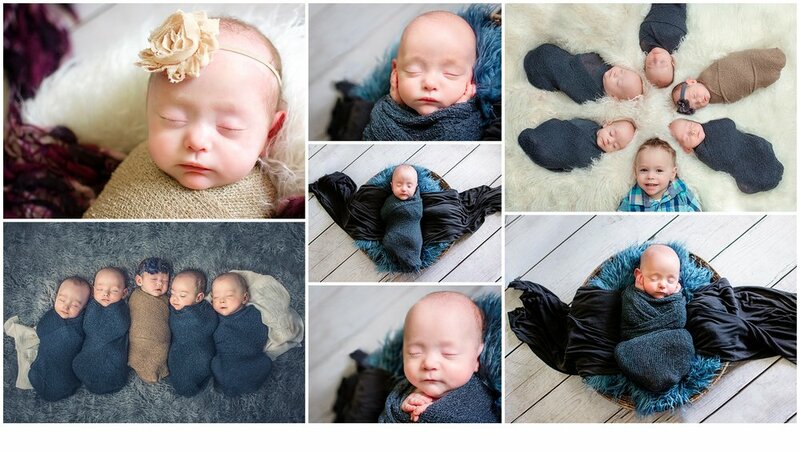 Your baby will be posed in at least 4 custom set ups. 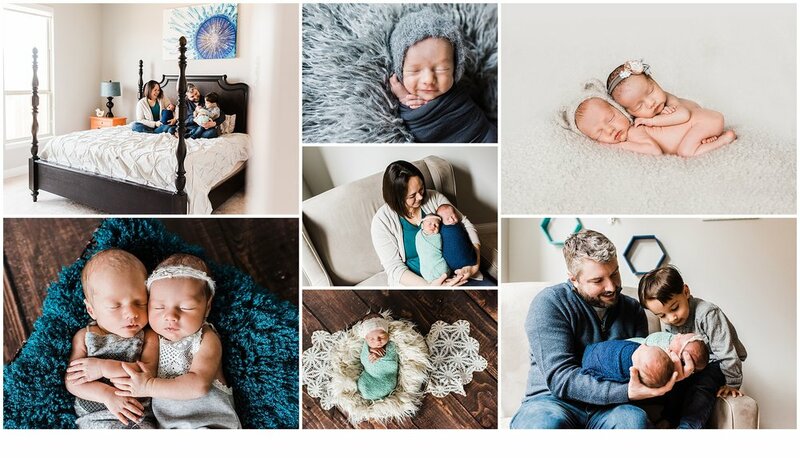 Then, because we are in your home, we have the option to do posed family images or to utilize your family space and/or the nursery for a more lifestyle approach.